making it fun: Laura Gunn & Flutter! I'm always happy to chime in on Kathy Miller's beautiful blog. 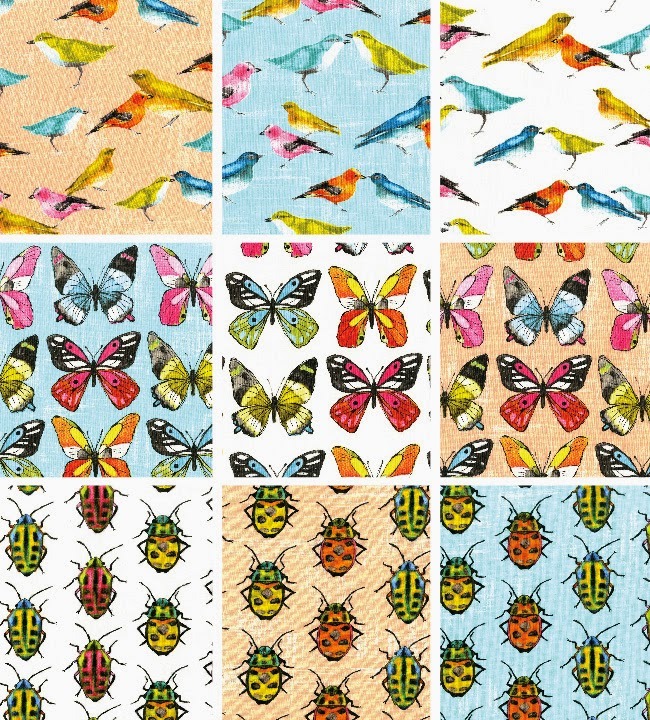 I thought I'd talk a bit about my newest line, Flutter. The artwork from Flutter was inspired by vintage drawings--the kind you might find in an old book about birds--with a modern twist. I really enjoyed creating the artwork for this line. For me, one of the benefits of drawing things from nature is it forces me to really stop and notice the details. I don't think I will ever look at a beetle the same! I love to incorporate beautiful things from nature into my own decor. So I could hardly wait for some yardage from Flutter to arrive on my doorstep. When it did I plunged right into a guest room makeover. I added a cushion to a simple Ikea bed frame--making it prettier and a lot more comfortable! We are big on reading in bed at our house so a comfy headboard goes a long way. 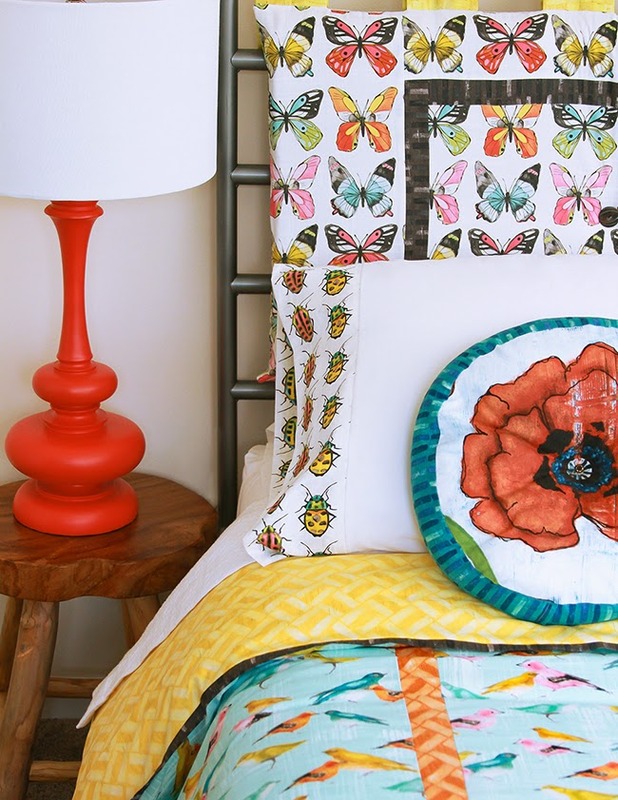 I also made a duvet cover using my bird print and a small pillow using fabric from my Poppy Remix collection. And I trimmed it all in some favorite prints from Edges. I almost forgot the pillow case. I cheated on this one. I just sliced off the end of an existing white pillowcase and added a beetle border. This pillow is no longer in the guest room as my seven year old son has claimed it as his own. I hope you enjoy working with my new line as much as I have! 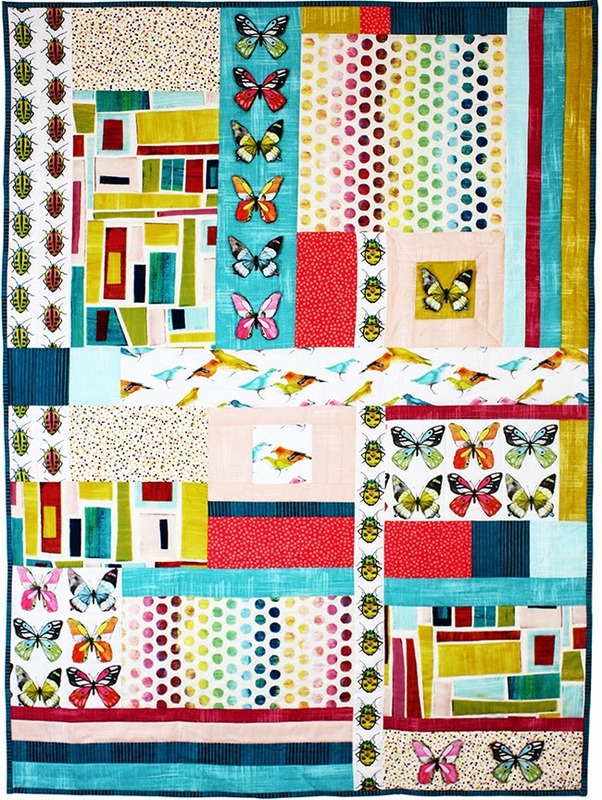 For more Flutter, check out this quilt by Marinda Stewart, coming soon as a free pattern on our website! Oh my goodness!!!! Laura, This set is so great! Maybe you can do a tutorial on the headboard piece. I absolutely love that!! 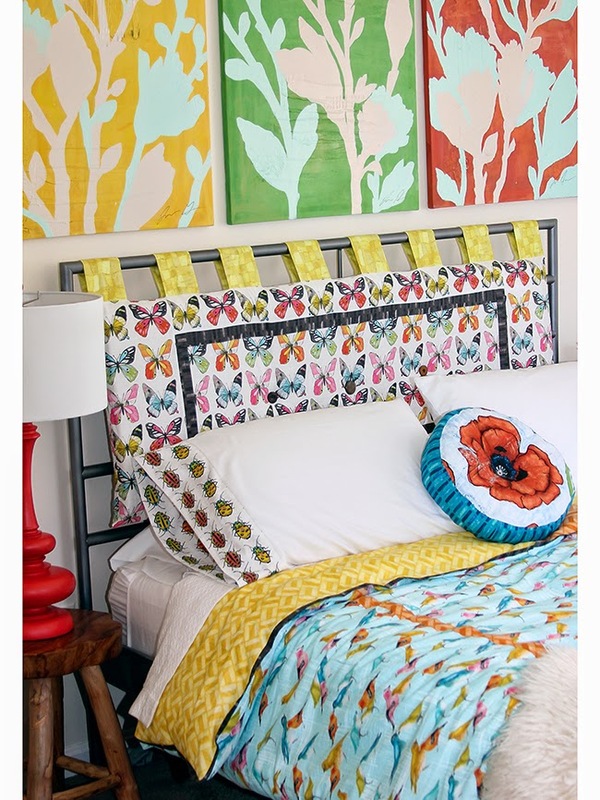 I love the headboard piece too. Where can you find such a big cushion?